Acupuncture, Traditional Chinese Medicine, Cupping & Gua Sha for pain relief & other health issues. We hope you enjoy our website and find the information useful and will soon feel ready to make that first step towards achieving optimum health and vitality using any of our Traditional Chinese Medicine services on offer. You can be assured that our practitioners are highly trained in their professions and are ANTA and CMBA registered meaning that health fund rebates are able to be claimed from over 50 Australian funds. 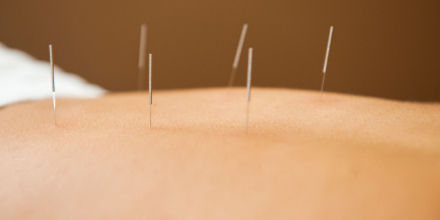 Acupuncture is used to treat various types of pain, neurological problems and other health ailments. It's also effective in treating rheumatoid and osteoarthritis, migraines, neck pain and tension-type headaches. Cupping is traditionally used to treat respiratory diseases such as the common cold, pneumonia and bronchitis. Cupping also is used on back, neck, shoulder and other musculoskeletal conditions. We also have a range of retail lines such as Traditional Chinese Herbal Formulae, Herbal Teas, Liniments, Analgesic patches, Turmeric, Cinnamon and Ginger capsules, Reishi, Pine Pollen, Ginseng and Metagenics products. It is our mission to understand and resolve your health problems, and to educate you on Oriental medical practices.